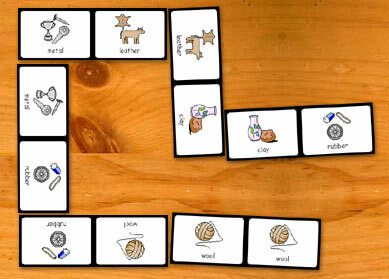 Dominoes are a fun way for children to learn new vocabulary. Usually small rectangular wood or plastic block, the face of which is divided into halves, each half being blank or marked by dots resembling those on a dice. Dots can be replaced with symbols, Symbol and word or words on their own.